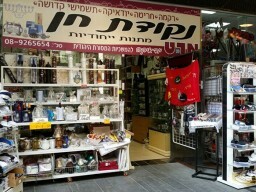 Up to 50% Off All Pesach Related Products! The long established store at the ground floor of Keizer Center. Computerized embroidery: towels, robes, sheets, clothing, logos and emblems for institutions and committees. 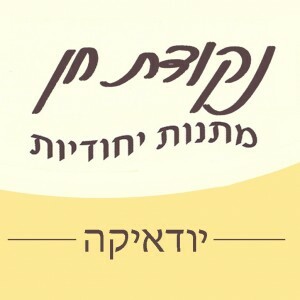 Judaica: challah covers, Netilat Yadaim cups, kiddush cups, candlesticks, mezuzot, tefillin, tallitot, kipot, tallit sets, name embroidery, challah boards. Decorative engraving: smartphones, pens, jewelry, key chains, postbox and intercom, signs, dedications, leather products. Everything you need for Pesach: seder plates, kiddush cups, matza covers, and more - all up to 50% off! And on special offer (see pic): seder plate + motza cover for 59.90 ₪.